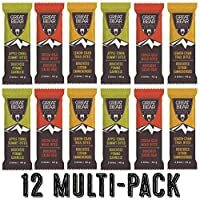 Great Bear Bites – Paleo-friendly fuel for all of life’s adventures. Our bites are Paleo Friendly, Gluten-free vegan nutritional snacks. They provide extreme natural nutrition for the grizzly within. Inspired by the great bears of BC’s rugged wilderness, our paleo bites are a nutrient packed source of energy, chocked full of natural ingredients that deliver the fuel you need for your most demanding adventures. Free of gluten, wheat, dairy, soy and nuts – they are perfect for the whole family, whatever their needs. Grab a bite and go big!